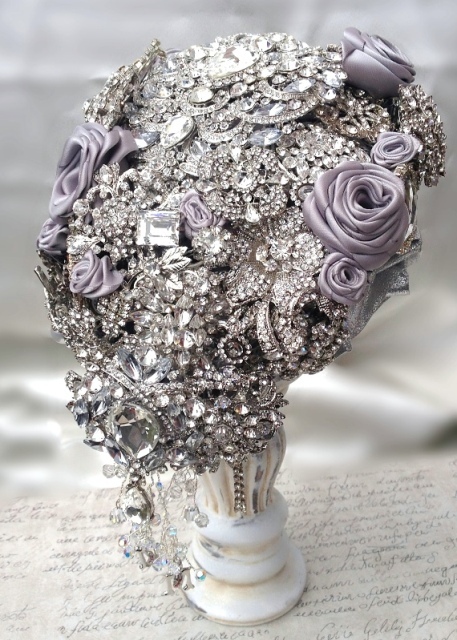 Brooch Bouquets are a stunning alternative to a bouquet for your wedding and we love creating them for our brides, all our designs are totally individual and made to order and occasionally we will have some brooch bouquets available for purchase immediately. Our prices start from Ã300, and we can work to your budget. We use both Vintage and new brooches for our brooch bouquets. Our brooch bouquets can come in various sizes and shapes from posies to teardrops containing Vintage jewellery, Brooches, Diamante, pearls, buttons, crystals, and silk flowers all handcrafted and designed to your specifications and colours, an array of jewellery and keepsakes to make your brooch bouquet into an heirloom piece to keep forever. 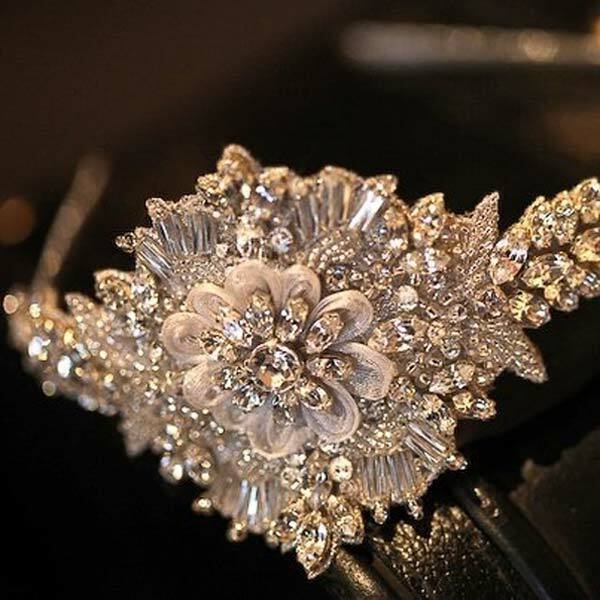 Welcome to our gallery of our own handmade unique range of Bespoke Vintage Brooch Bouquets. We have an initial consultation with you regarding the look for your wedding day, and the style of your wedding dress.